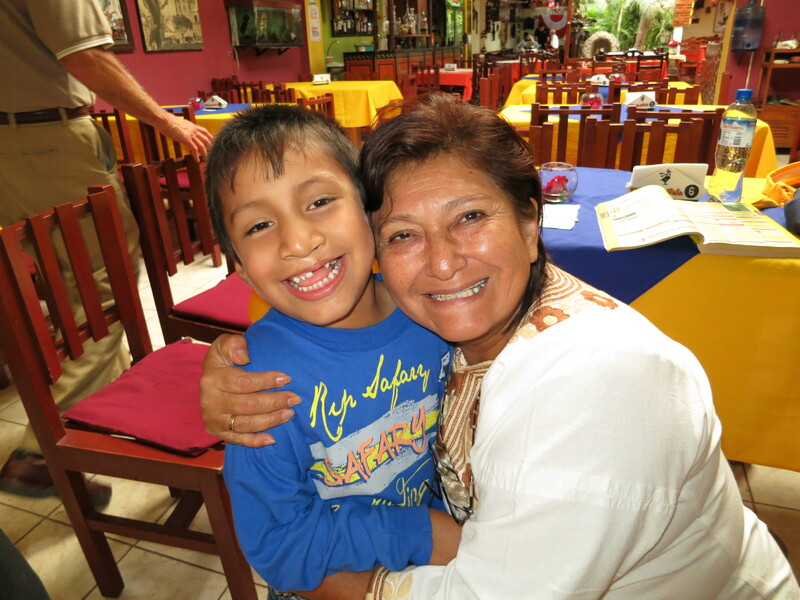 Our 11th year in Lambayeque! Patients and team members alike returned home tired and happy. So many volunteers come together to make these campaigns possible. Thank you for supporting the surgeries that change their lives forever! This was a banner year for the FACES Foundation. The team of 38 surgeons, anesthesiologists, nurses, speech therapists, interpreters and photographers started as strangers and quickly came together as colleagues and friends. This campaign ran smoothly, the patients were well cared for, and the medical community embraced us as their peers. Another successful year! 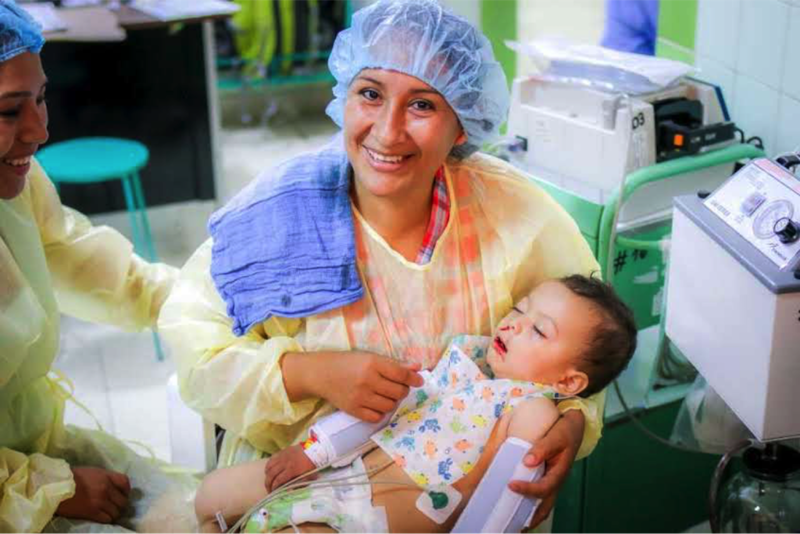 Take a look at the highlights… you’ll see our incredible medical team, the supportive Lions club members, the dedicated Hospital Staff at Hospital Belen and Hospital Regional of Lambayeque, and our beautiful patients and their families. A special thank you to Kris Luke and Paul Foster for the photography. Each year we come to Peru, we feel like we are coming home. 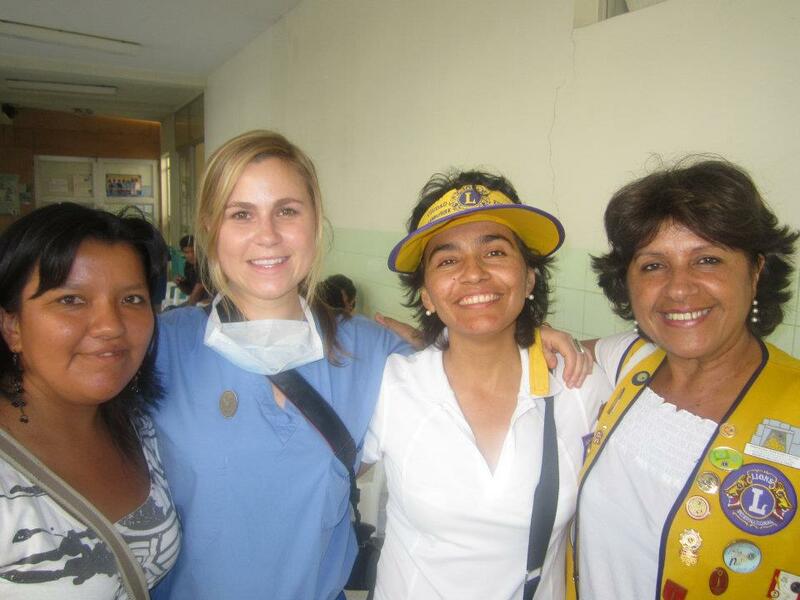 Our Latin American colleagues and patients are becoming are friends and family. We are grateful for their hospitality and commitment to their own children. 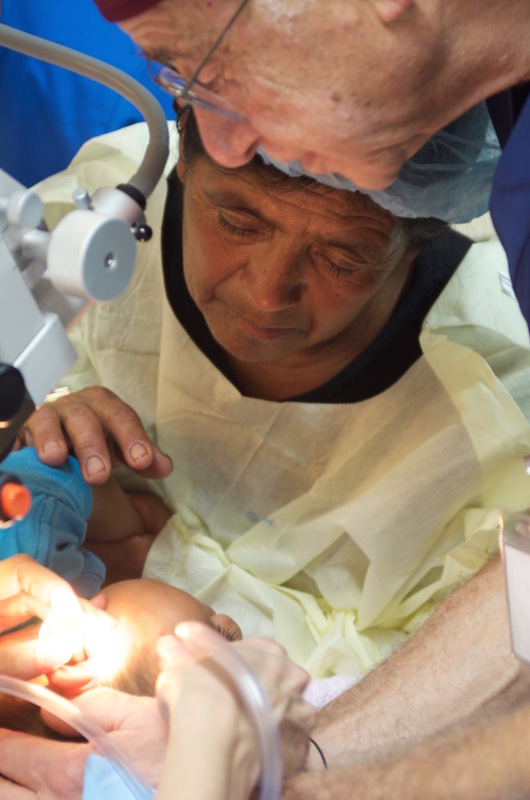 FACES took a team of 32 people this year, and conducted surgeries for 54 patients. 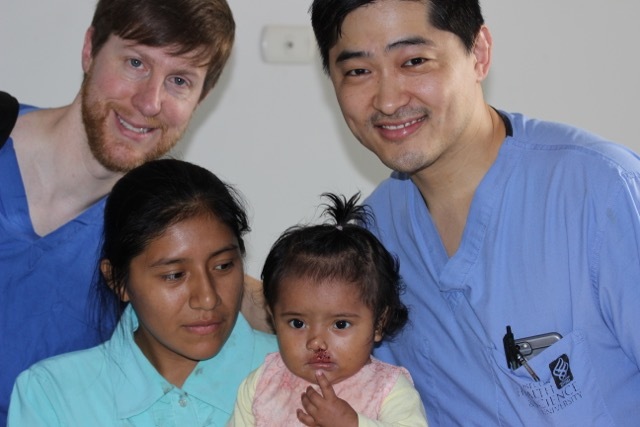 2 hospitals, 6 days, 28 team members, 47 cleft surgeries! Take a look at the photo highlights from our most successful trip yet! The collaborations of Peruvian staff from Hospital Belen and Hospital Regional made it possible to treat so many patients. And an enormous thank you to all of our North American volunteers! This year the FACES team made a huge leap – it operated out of two hospital including the state-of-the-art Hospital Regionale. 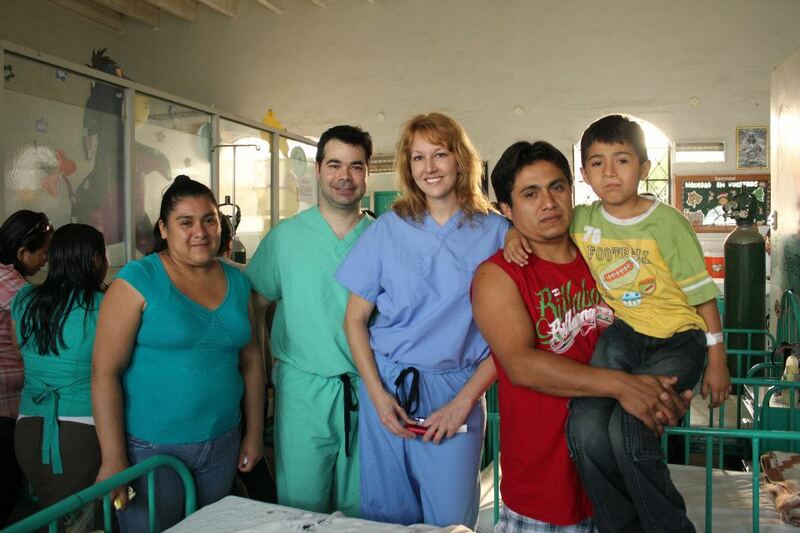 Most surgeries were still completed at Belen Hospital in Lambayeque. Operating out of Hospital Regionale represents a major step for FACES, which hopes to eventually record and see all children born with cleft in the region! 2013 was an amazing year for the FACES team! Again the surgical team worked closely with the Lambayeque Lions Club to organize the surgical days, work with patients and their families and ensure smooth transitions in the operating rooms. This year the team saw many patients and families who came into Lambayeque from remote northern Peruvian villages. Portland-area Lions Club members Dennis Tichenor, Merry Meek and Warren Heathman gathered with women from the Ciudad Evocadora Lambayeque Lions Club in Peru. The Portland Lions Club members trained the Peru Lions on how to properly screen people for sight and hearing problems. They learned how to screen for hearing problems, vision problems, and how to fit people with the correct glasses. 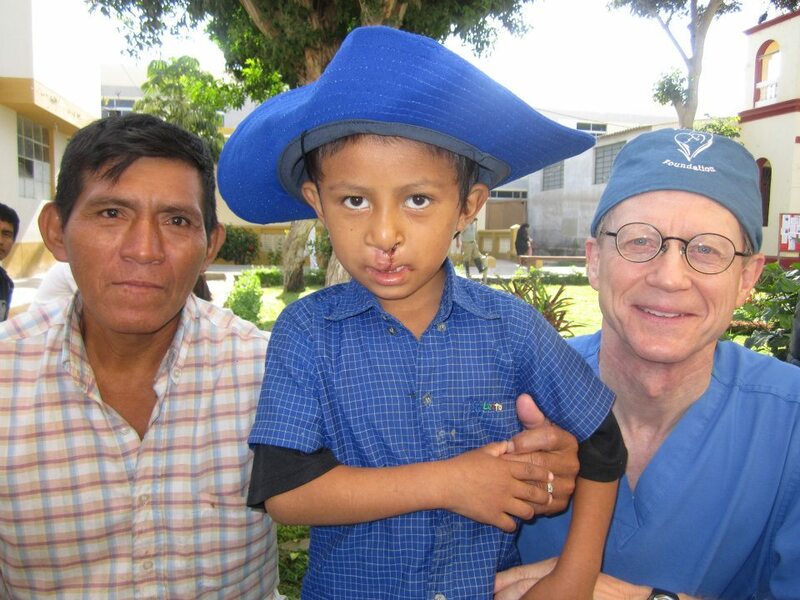 Dr. Albert and the FACES team screened almost 70 patients, many of whom had a cleft lip or palate. 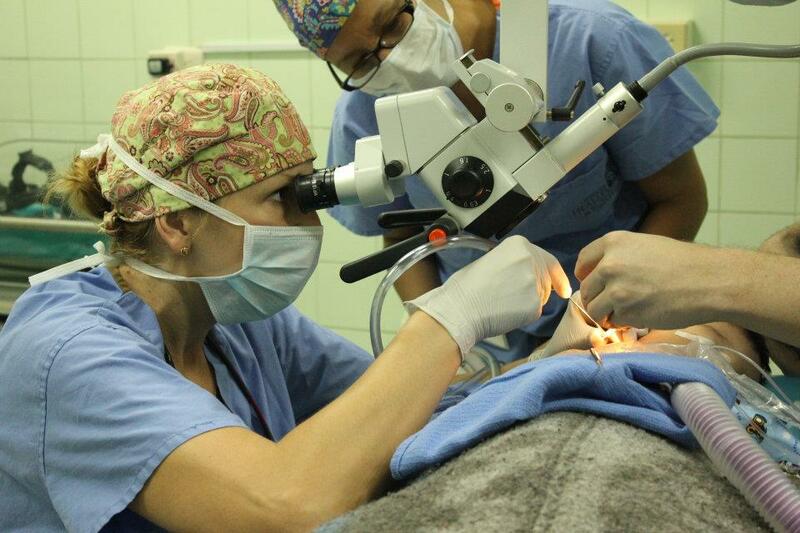 About half of those screened will receive surgery during the January 2013 surgical trip. This year was the first time that FACES conducted the screening clinics at Belen Hospital. FACES Foundation, the Lions Club and Cafe Femenino Foundation visited the traditional Quechua village Corral de Piedra on their December 2012 trip. Corral de Piedra is a coffee-producing village which receives economic and social assistance from the Cafe Femenino Foundation. The village is a four hour drive from Lambayeque, nestled in the mountains of northern Peru. Two members of the FACES team, Dr. Tom Albert and Leah Olson, traveled to northern Peru for a week to lay the groundwork for the upcoming screening clinic trip and the surgical trip in January 2013. The trip including meetings with medical staff and administration from Belen Hospital, the Lions Club and the President of Lambayeque region. Dr. Tom Albert and Leah Olson of FACES Foundation attended the Specialty Coffee Association of America conference in April, 2012, held at Portland’s convention center. Thousands of exhibitors had booths, showcasing the latest coffee technology, as well as new varietals of beans and roasts. Following the expo, Cafe Femenino (a FACES partner) held a producer appreciation dinner at Andina restaurant in Portland. Dr. Albert, Leah Olson, and Kelly Jensen of FACES attended the event. The team had a long week of surgeries and time spent at the hospital. So, in true Peruvian fashion, we celebrated the end of the surgical trip with a big bash! 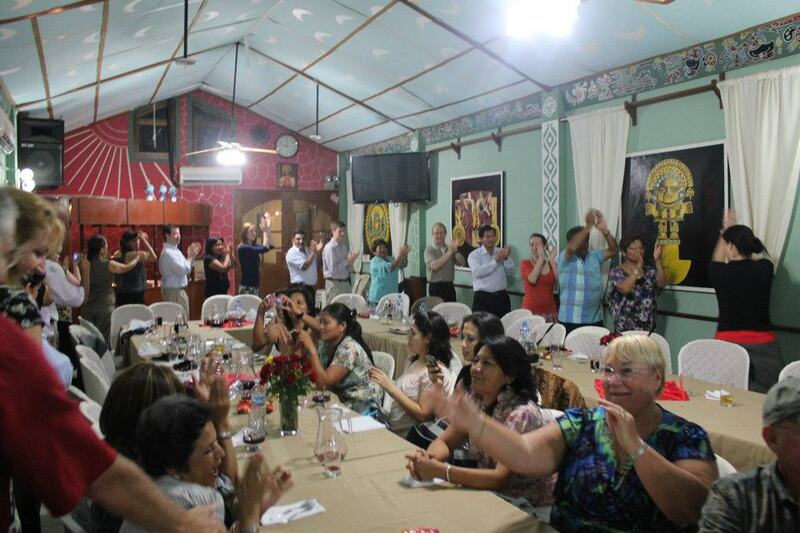 Members of the Lambayeque Lions Club and staff from Belen Hospital were all in attendance. The banquet was held at El Rincon del Pato restaurant. Dinner was followed by hours of dancing. 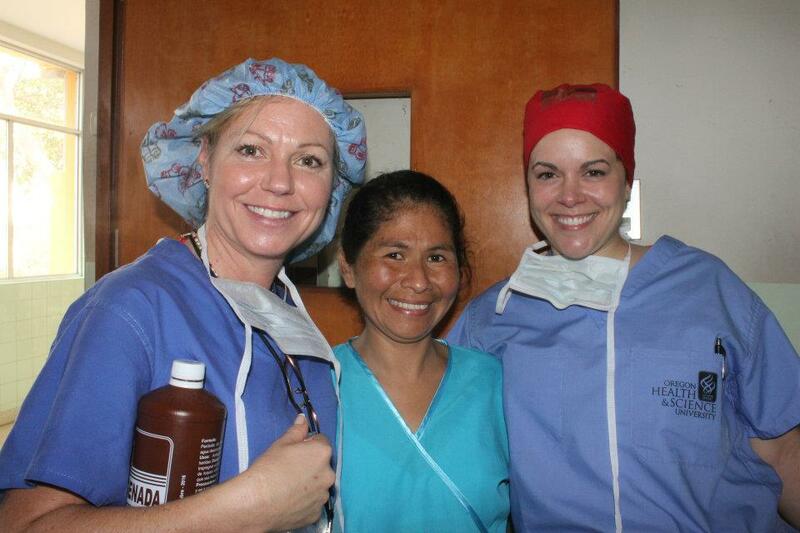 The final two days that the FACES International Cleft Team was at Belen Hospital. In this album, you’ll see the final surgeries, the last discharges and lots of happy, smiling patients and families. The team’s fifth day at Belen Hospital. Most surgeries were finished at this point, and the doctors and nurses inspected the healing of lips and palates. 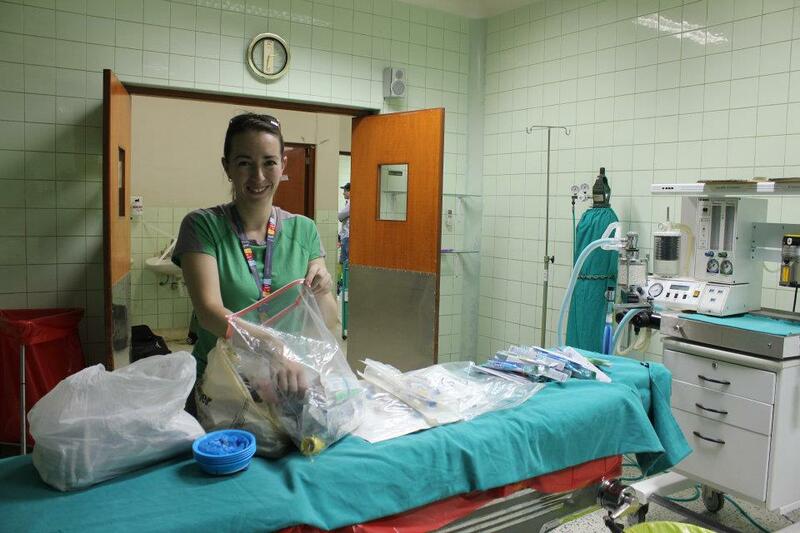 The team’s fourth day on location at Belen Hospital in Lambayeque, Peru, in late January 2012. The FACES team does rounds on the third day of the trip, inspecting the healing progress of cleft lip and palate patients from the previous day. The team of nurses and physicians released many of the patients to return home who were healing quickly. Follow the FACES team as they begin their first two days at Belen Hospital in Lambayeque, Peru. 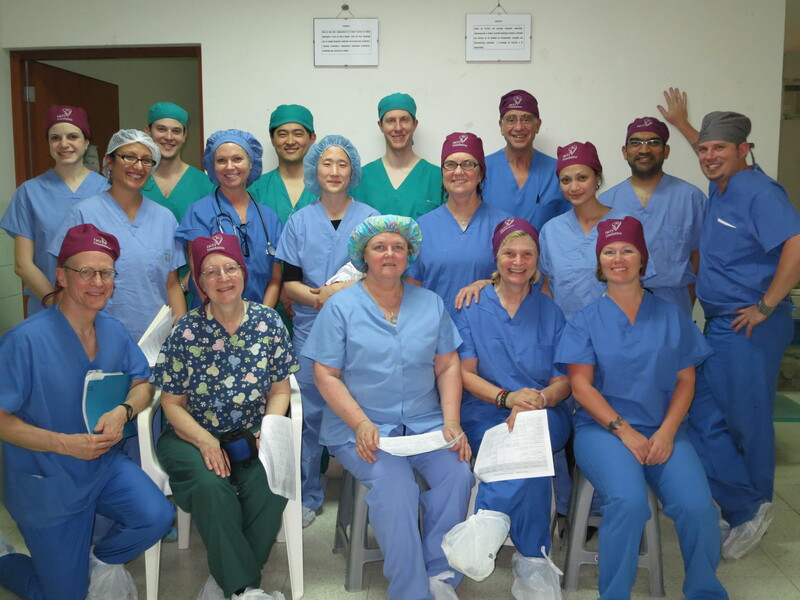 The FACES International Surgical Team headed to northern Peru in late January, 2012, for their surgical trip. Follow along on the first few days of the trip, which included the team’s international travel and hospital set-up in Lambayeque. 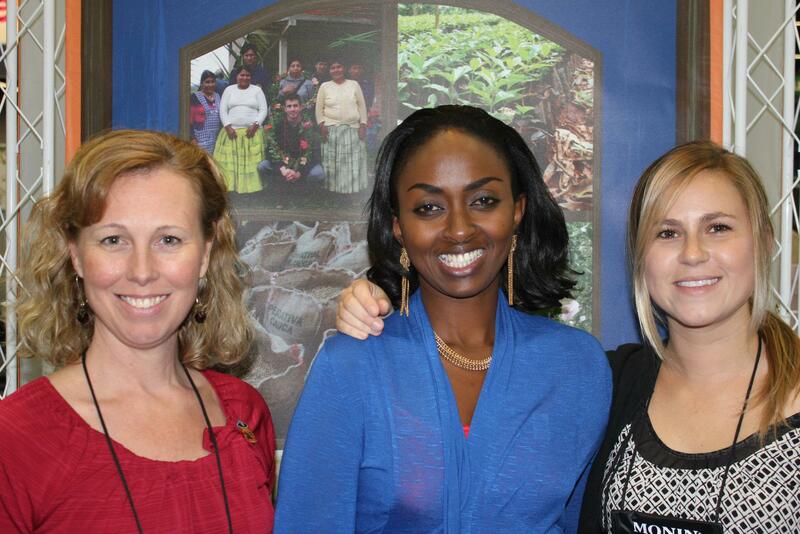 Leah Olson of FACES Foundation traveled with a team from Cafe Femenino into the village of Agua Azul. 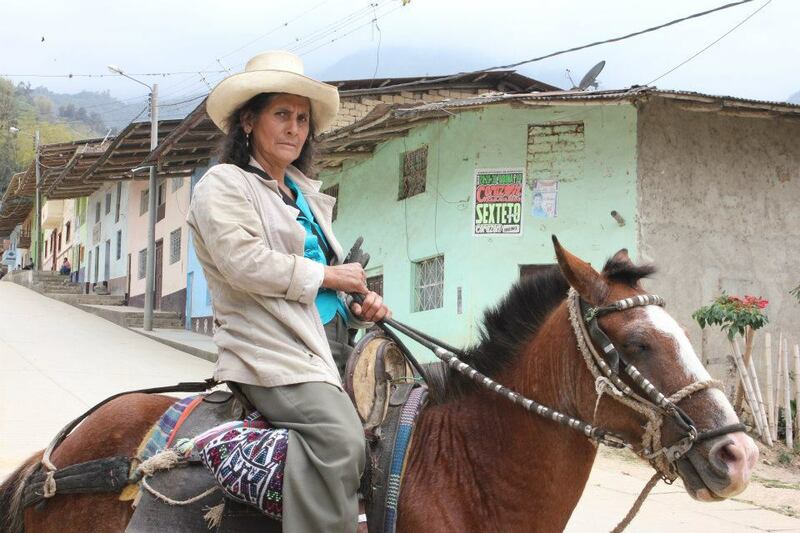 Agua Azul is a coffee-producing village that participates in the Cafe Femenion programs for women. The group visited with the town mayor, Elver, and put on a La Chocolatada for the village residents. FACES and Cafe Femenino traveled to San Antonio, Peru, to view the finished clean water project they helped install thanks to a $40,000 grant from Green Mountain Coffee Roasters. The project piped clean, drinkable water into many of the 500 homes in the village. The people of San Antonio welcomed the visitors with open arms, a band and a feast that included home-grown cuy. Six members of the FACES Foundation team traveled to Kaiser’s national headquarters in Oakland, CA, to recieve a prestigious David Lawrence Community Service Award. Dr. Thomas Albert, Tammy Berks, Dr. Christina Ruybalid, Dr. Jacob Reiss and Dr. Dana Smith accepted the award on behalf of the whole FACES team.